Time to give you all an update on what I've been reading and other things of note in my reading world. Firstly a tongue in cheek thank you to somebody in Oregon USA who clearly liked our site so much they tried to hack our password. Thanks to Google and it's password restrictions we were unable to get in ourselves for a day or two but we are back in control! Well, as much as we ever were anyway. 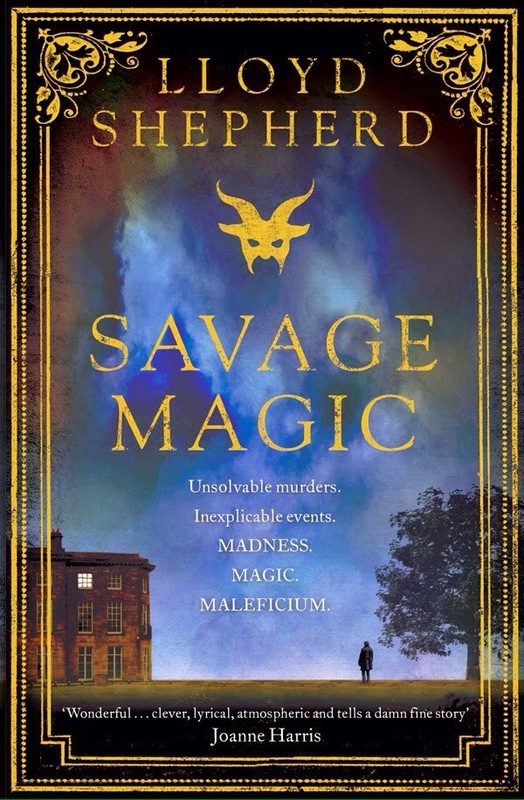 There are a couple of books I've finished in the last couple of weeks, firstly Lloyd Shepherd's Savage Magic, third in his series that revolves around the adventures of River Constable Charles Horton. I first mentioned this novel back in September but it's annoyingly taken me until now to get around to it. (There's always a long queue etc etc...). This time Constable Horton finds himself consigned to the Surrey countryside by Aaron Graham, Bow Street Magistrate on a matter of personal importance. This set runs alongside a series of brutal murders back in London which seem in some way linked to Horton's own personal circumstances, in particular that of his wife's present incarceration in a mental facility. Rumours of witchcraft fly through the tale which has it's core within the actions of a group of men of 'quality' and their sordid sexual debauches. As with previous novels in the series there is enough of an element of the supernatural running through the plot to add another dimension of interest but never so much as to remove the reader from the idea one is reading historical fiction. A combination of elements I think Lloyd Sheperd pulls off magnificently. I really enjoyed Savage Magic, I hope this is not the end of Constable Horton's story. So many good stories only seem to make it to a trilogy these days, I definitely want more! The other book I wanted to bring to your attention is Operation Pax by Michael Innes. 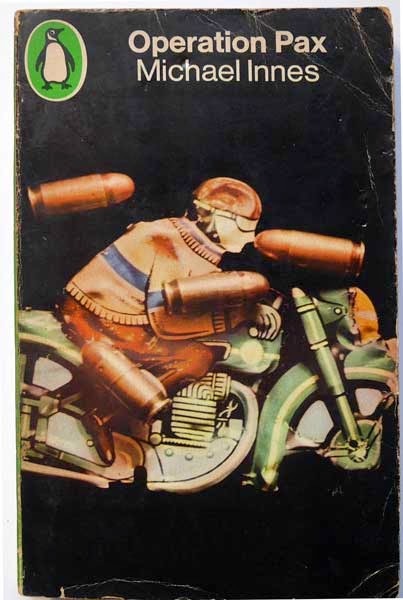 I came across this one in a massive batch of Penguin Crime green-covers I picked up on good old Ebay. I'd never come across Innes's work before so did a little research and found it to be the pen-name of J.I.M. Stewart, Scots academic and author. As well known for his academic writing as his fifty plus crime novels, one is under no illusion very early on in the book that this is a work written by a lecturer in English at Oxford University. I can't remember the last time I had to make so many dictionary checks reading a piece of crime fiction! I know this will put some people off, many people read just to enjoy, we're not necessarily here to learn right? He can be erudite to the point of verbosity, but is nonetheless entertaining. With the usual measure of somewhat improbable coincidence one expects from mid-twentieth century crime writing, and the character biases one might forsee from a male academic of the period, this is still worth a read. I have a number of Innes's works in my bulk purchase so I'll definitely be giving some of his other novels a look. Finally, a couple of weeks ago on the 16th of November, I posted on our sister-site: https://www.facebook.com/bookloversmelbourne a message regarding a cafe in Melbourne looking to share some space with a would-be bookseller. Coffee Automatico would still love to hear from anyone interested so either contact them direct or drop us a line and we'll put you in touch.